Your home requires decorative touches and permanent fixtures with the right fit, scale, and design to blend with the original style of the home. Older homes especially benefit from custom-made pieces that look as if they’ve been in place for decades, yet include modern updates, such as an exterior planter that works with your irrigation system or a bathroom mirror with a storage shelf to make the most of a small space. 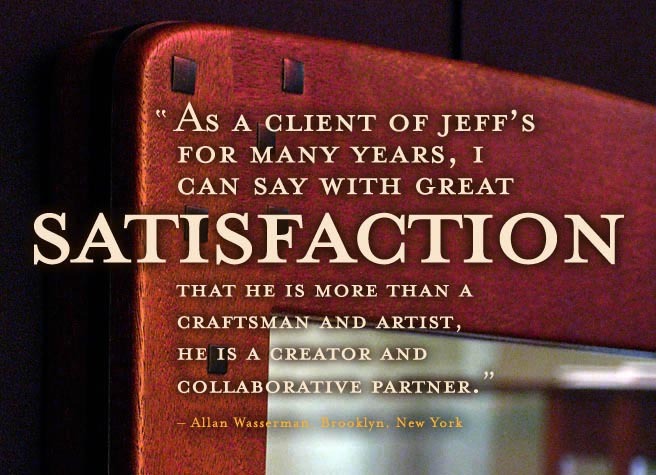 When you need a picture frame for your treasured artwork in custom dimensions or a hand-hewn front door that looks like it’s been there since the house was built, Jeff creates it for you. Take a look at the unique pieces Jeff has created for homes that require combining old-fashion style with modern conveniences. These projects offer the most intriguing and interesting challenges, ones that require both art and practicality. These are the projects Jeff loves to solve most. He’ll custom design your beautiful home accessories.